I mentioned in this post the other day that we went to Chilli Banana in Macclesfield, after a rather disappointing visit to Jodrell Bank (still a bit bitter about that, can you tell?). I’ve never been to Chilli Banana before, despite wanting to for so many years. It must have been about 10 years ago that I first heard people singing it’s praises of Thai food goodness, but it was only last week that I managed to finally experience the taste sensations which lay before me. As soon as the starter came out we were impressed with the presentation. Between 4 of us, there was one of each starter presented all on one plate. You could taste the freshness of the food as soon as you took the first bite and the Peanut Satay sauce was probably the best I’ve ever tasted. You could tell how long the meats had been marinated for as well, and the chicken had a delicious tang after the initial spicy peanut flavour. The spring rolls were also impressive, and usually I’m not a fan. The spring rolls from Chilli Banana though? Oh my. They were so fresh and crisp and the inside was a delicate mix of noodles and vegetables which were full of flavour. We soon scoffed the starters down, and just as we were disappointed we couldn’t experience the flavours for longer, the mains arrived. Even though you could tell everything was being made fresh, there was no long waiting times and everything was served in super quick timing. Granted, it was towards the end of the lunch time rush which we were eating in, but nevertheless, after being out and about all morning it was a welcome addition to the experience. For the banquet set meal, you could choose 5 out of 6 dishes to enjoy. With an array of shrimps, chicken and beef on display, we dove straight in and piled our plates. Despite being shared amongst 4 people (and a baby) there was more than enough to go around. My favourite dish was the Thai Green Curry which was so creamy and delicious. I don’t know if it’s just rubbish Thai’s that I’ve had it at before, but usually it’s a runny, watery dish holding not a great deal of flavour… But not at Chilli Banana! This was packed full of flavour and I could have eaten the whole bowl to myself if I’d of had the chance. As mentioned, it wasn’t cheap for a Sunday lunch time and the banquet meal cost us £25 per person. Saying that, if we had gone in the evening we wouldn’t have thought twice about that price really! I’ll definitely be going back again to try some more dishes from the menu, but I think this was a great introduction to Chilli Banana and I got to try a bit of everything. There wasn’t a single part of the meal that I disliked and the service, atmosphere and food was all brilliant from start to finish. 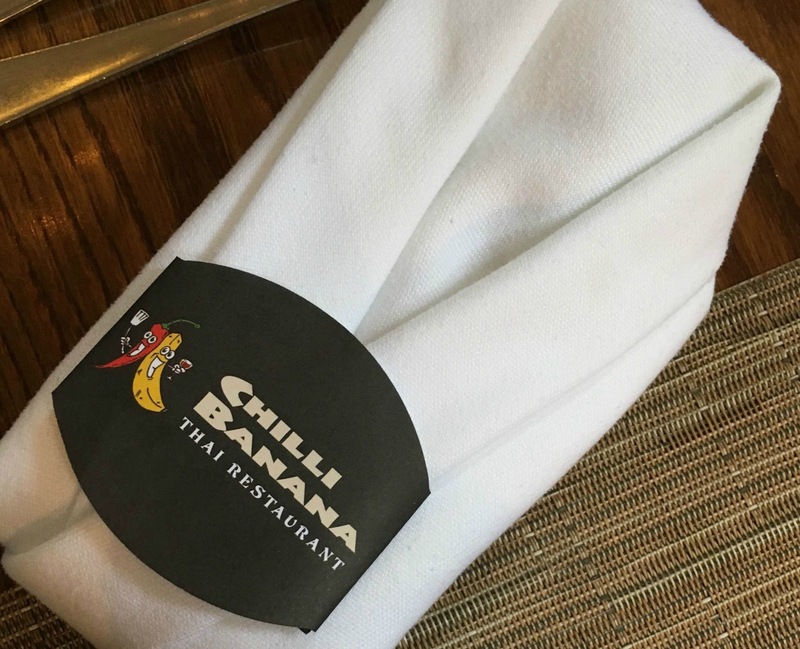 Next time I may even try their namesake dessert, which is an actual chilli banana… Fancy, eh!